Source: The Holes Around Mars by Jerome Bixby ebook on Amazon. The story can also be found on Project Gutenberg. 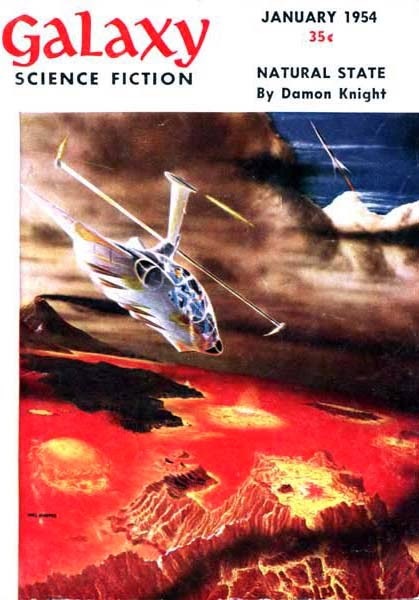 The narrator tells the reader that selections for space-crews are tricky and recalls his first mission to Mars with Hugh Allenby, the captain who had a bad habit of puns. He then relates the story of landing on Mars for the first time and discovering these series of holes (parallel to the surface in rocks and such) that perfectly align and seem to go around the planet. As they follow the pathway, Allenby continues to make bad puns to everyone else's chagrin. Finally, they come upon a Martian settlement where they meet Martians but cannot use the same dialogue. They slowly try to communicate and when one of the crew tries to move in a particular the direction, the Martians grow apparently hostile. However, the humans soon find out that he was going to walk directly in the pathway of the beam that shoots around the planet and would have been killed. Afterward, on the ship when Allenby is calling it back to Earth, they identify it as a third moon (really small--4 inches) and name it Bottomos (a pun on it being so close to Mars and most likely in reference to the team member who relieved himself when it whooshed over him). Jerome Bixby is author of one of my favorite episodes of the The Twilight Zone ("It's a Good Life"; based on Bixby's short story) and so I was interested in reading another story of his. When the opening paragraphs told us there would be punning, I got even more excited. I anticipated something along the lines of Spider Robinson. But not quite. It's a fun story but the puns didn't have the best zing to them and they didn't come nearly as fast and furious as I would have expected (given the story's introduction). Otherwise, I found it a light story that I did enjoy.